Affirm, a San Francisco-based fintech, has raised $300 million in Series F funding, led by Thrive Capital. 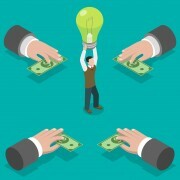 The funding had participation from new investors Fidelity Management and Research Company, Baillie Gifford, Wellington Management Company LLP, and Ashton Kutcher and Guy Oseary’s Sound Ventures and returning investors Founders Fund, GIC, Spark Capital, Lightspeed Venture Partners, Moore Asset Backed Fund, LP and Ribbit Capital. The company has raised over $800 million in equity funding to date and it intends to use the new funds to hire talent and scale operations. Affirm was founded by Max Levchin. Consumers can use Affirm to pay for purchases of any amount up to $15,000 at over 2,000 merchants, many offering interest-free financing options with no late or hidden fees. In recent months, brands including Walmart, Warby Parker, Verizon Visible, David Yurman and Room and Board have added Affirm as a payment option at checkout. Loans are made in partnership with the company’s originating bank partner Cross River Bank, a commercial bank based in New Jersey. Affirm says it saw a loan volume of more than $2 billion in 2018. The company also recently opened an office in Pittsburgh, Pennsylvania. Silvija Martincevic will join Affirm as chief commercial officer; Greg Fisher joins as chief marketing officer and Christa Quarles joins as an independent member of Affirm’s board.